The Geospatial LiveDVD team is pleased to announce version 3.0 of the OSGeo GeoSpatial Live DVD and Virtual Machine, code named Arramagong. From the Arramagong LiveDVD, you can try the best of GeoSpatial Open Source Software(OSS) without installing any applications on your computer. As a royalty free, reference release with fully tested and configured OSS stack, the LiveDVD is ideal for training, demonstration and public outreach. The LiveDVD is based on XUbuntu 9.10 so it can be run on most computers simply by rebooting the computer with the DVD inserted. The Arramagong LiveDVD also comes with Windows and Macintosh installers for many of the GeoSpatial applications too. 34 of the best GeoSpatial Open Source applications included. Us packagers are keen to help projects make use of the next release of the Live DVD at this year's OSGeo FOSS4G conference, http://2010.foss4g.org. Can you use the Live DVD in your presentations, tutorials or workshops? Talk to us about it. 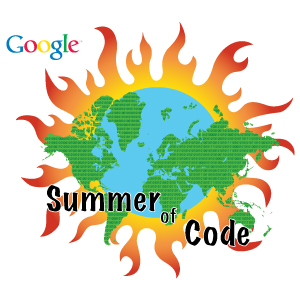 Us packagers at the OSGeo Live DVD project are pleased to announce that we have joined other OSGeo projects in offering students the opportunity to get paid and mentored creating great Geospatial Open Source Software as part of the Google Summer of Code program. From the Live DVD, you can trial the best GeoSpatial Open Source Software without installing any applications on your computer. It is ideal for use in training courses and handing out to people wanting to try GeoSpatial Open Source for the first time. We are looking for keen developers to help us improve our cross project infrastructure, in particular focusing on quality through the development of systematic testing processes. This will be a great opportunity for students who would like to gain a breath of knowledge across the GeoSpaital Open Source development stack. Does your favourite OSGeo application work on the LiveDVD? This weekend, we will be cutting our last release candidate of the 3.0 LiveDVD which is targeted to be handed out at at number of spatial conferences in the April->July 2010 time period. The DVD is looking really good, we have updated a number of packages, as well as improvement the look and feel. Our only problem is that us packagers don't have the expertise to verify that each of the applications have been installed and runs correctly, and we are asking for help to document 10 to 20 test steps for each package. We will take any test steps that people can provide us. Feel free to update existing steps, as we are aware that some are based against old versions of the DVD and don't follow the template. If you have downloaded the one of the 3.0 DVDs, as per: http://download.osgeo.org , then please write test steps from there. Alternatively, use a default install of the software you have on your computer, which should be similar to the LiveDVD install. Lastly, thanks in advance for your help. Providing these testing steps helps us provide a quality DVD we can all be proud to hand out at conferences.